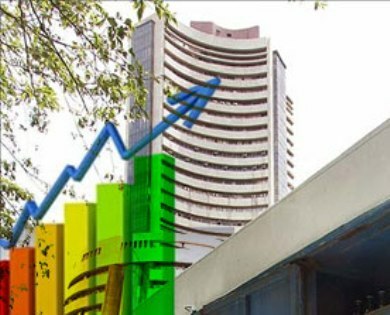 Mumbai: Continuing its rising streak for the ninth straight session, the benchmark BSE Sensex rose over 129 points to hit a new high of 27,148.90 in opening trade on Wednesday on sustained foreign capital inflows coupled with a firming trend on other Asian bourses. The 30-share index, which had gained over 705 points in the previous eight sessions, gathered another 129.51 points, or 0.47 percent, to trade at a new peak of 27,148.90, surpassing its earlier record of 27,082.85 touched on Tuesday (intra-day). All the sectoral indices, led by teck, consumer durables, infrastructure and oil & gas, were trading in positive territory with gains up to 0.93 percent. Maintaining its record-breaking spree, the NSE Nifty also shot up by another 36.75 points, or 0.45 percent, to hit a fresh life-time high of 8,119.80, crossing its previous record of 8,101.95 hit yesterday. Brokers said sentiments remained buoyant with key indices soaring to new highs on sustained foreign capital inflows and widespread buying by retail investors, driven by positive economic data such as better-than-expected GDP growth in first quarter and narrowing CAD. Besides, positive global factors with crude oil prices falling to multi-month lows and a firming trend on other Asian markets boosted investor sentiments, they said. Among other Asian markets, Japan's Nikkei rose 0.82 percent, while Hong Kong's Hang Seng gained 0.15 percent in early trade today.